Celeb Gossip News – Russia Is Running Low on World War II Soviet Tanks. So It’s Getting Replicas From Laos. MOSCOW — This was no ordinary shipment of tanks. The Russian Defense Ministry greeted it with a display of public pride, sending a crew from its official television channel to record the delivery’s departure from the far-eastern port of Vladivostok to a military base near Moscow, a trip that will take days along the Trans-Siberian Railway. They weren’t there to celebrate the latest advance in military technology. These tanks, dispatched from more than 2,700 miles away by the Lao People’s Army, are destined never to see combat again. They are T-34s, the design used by the Soviet Union in World War II and for decades after, returning home to star in military parades, museum shows and film shoots. 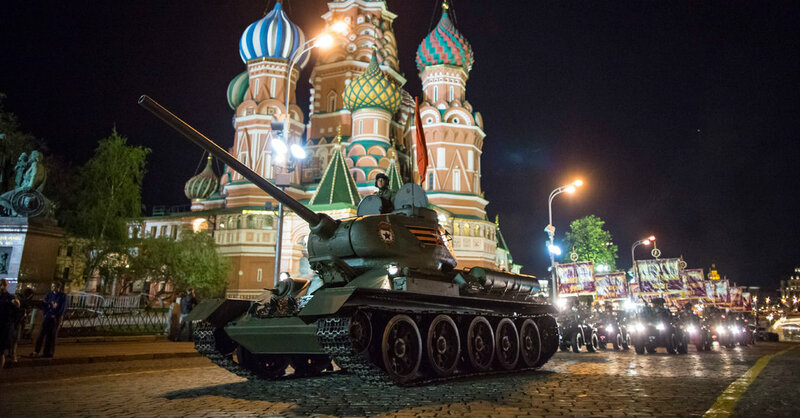 Squares in many Russian cities display T-34s, commemorating the war against Germany. Every year, at least one T-34 rolls over the cobblestones of Red Square during the May 9 Victory Parade. But though the defense ministry records more than 56,000 manufactured just between 1940 and 1946, it owns relatively few in working order. And that was how Laos, whose forces still hold a fair amount of vintage Soviet equipment, could help. The deal to deliver tanks to Russia was reached in January 2018, when Russian Defense Minister Sergei K. Shoigu toured Southeast Asia. While it is unclear if Russia paid for the tanks or exchanged them, at the end of December a number of modernized Russian T-72 tanks were spotted en route to Laos. With its unique combination of mobility, solid firepower and durable armor, the T-34 became one of the most celebrated tanks of all time. According to military historians, it was “a war-winning weapon” for the Soviets against Nazi Germany. Entire films have been dedicated to the T-34. The most recent, simply titled “T-34,” opened on Jan. 1, shortly before the 30 tanks arrived from Laos. It broke box office records for a Russian-made film, grossing more than $ 21 million so far with more than 5 million tickets sold. One reason for the film’s popularity might be the number of tank enthusiasts in Russia. One of them, Aleksei Khlopotov, a respected blogger about military equipment, studied broadcast images of the tanks from Laos and concluded they were not from World War II. “Despite overall similar appearance with the military machines that took part in the Battle of Berlin in 1945, there is little history about the new arrivals,” said Mr. Khlopotov. “These tanks, according to a number of external features, were produced somewhere between 1952 and 1956 at factories in Czechoslovakia.” One clue, he said, was that the shape of their turrets were “too perfect” to have been made at a Soviet factory during the war. Paul Hollywood: GBBO star’s brother-in-law Simon Moores killed after plane crash in Spain Mauricio Pochettino denies supporting Man Utd - but celebrated Champions League final win!